Halloween in the US is almost as big a deal as Christmas, I’ve just recently come back from Chicago and although it was several weeks before Halloween the celebrations had already begun. A whole series of spooky events were planned throughout the month of October. Tickets for the Haunted Halloween Ball were in hot demand, the Guide to Chicago Haunted Houses was flying off the shelves. There were drive-ins spooky movies with promises of the terrors and chills of Halloween. The Club Zone was offering a Freaky Deaky Halloween Express shuttle, the mind boggles! Halloween costume stores were doing a roaring trade in scary gear for both adults and children alike. 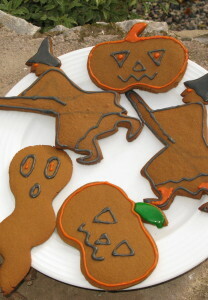 Pumpkins were piled high and kitchen shops were finding it difficult to keep up with the demand for cookie cutters. 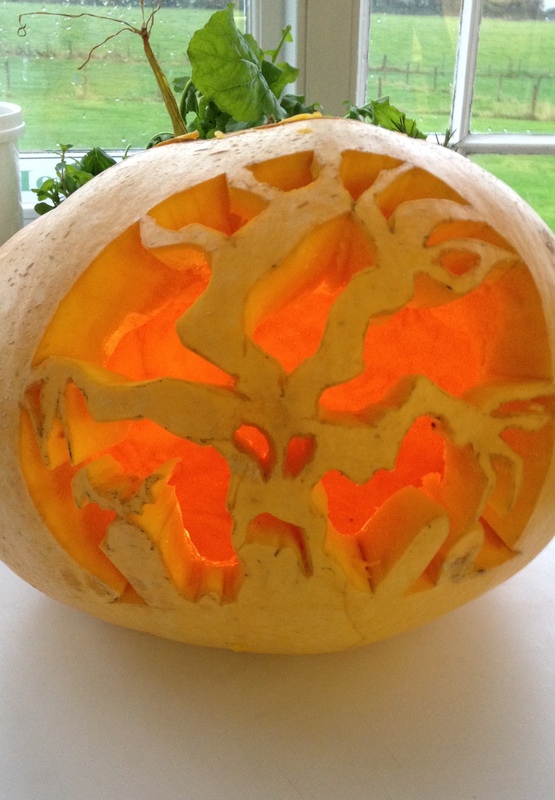 Everyone is in to it….a far cry from apple bobbing and barmbrack. In honour of Halloween every year, Daley Plaza turns into Franken Plaza. The Art Institute of Chicago, the most prestigious art museum in the country hosts a Halloween Gathering with lots of ghoulish things to do including kids costume parade, mask making, zombie dance. There’s Boo! at the Zoo with a corn maze, a pumpkin patch, a haunted hayride and even a creepy carousel. Well that’s all very exciting but this is a food column so what were they eating. It’s not just the restaurants and câfes that are in on the food. The excitement of Trick or Treat is in its second year. 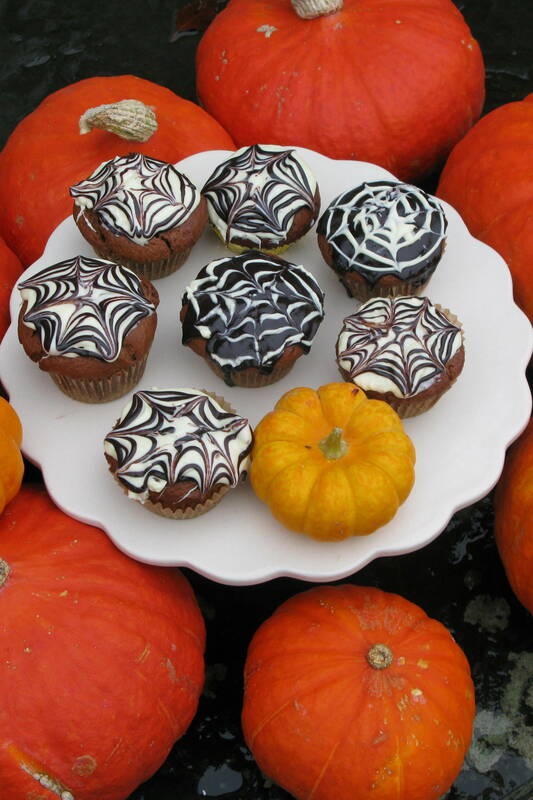 There is no end of ideas for fun and frightful Halloween recipes, scary spider web muffins, witches brew, devil’s food twinkies, dracula’s brains, dragon’s blood, jelly, pumpkin pies, pancakes, soups……Here are some ideas to amuse and tempt you. Happy Halloween. Mahon Point Farmers Market was buzzing when we visited recently. A brilliant selection of fresh naturally produced local food in season and beautiful fresh fish from West Cork and Ballycotton. My new find was Wild Atlantic Way products. I loved the dried mint and bladderrack ‘tea’, seagrass, garlic butter and seaweed oils. Zita also does a range of seaweed salts in cute little pots and tells me the nori and seasame is particularly delicious over steamed rice. The dried nori seaweed is also being snapped up by vegetarians to top up their Vitamin B 12 and calcium. Zita has a passion for the sea so this is her inspired project to enable her to live close to the shore and harvest the sea vegetables sustainably. Sweat the onion slowly in the oil until soft but not coloured, about 10 minutes. Add the Thai curry paste and continue to cook over a low heat for 2 minutes. Add the chunks of pumpkin, chicken stock and coconut milk, bring to a simmer, season with salt and pepper and simmer until the pumpkin is tender, about 20 minutes. Remove from the heat. Taste and correct seasoning. Balance the sweet, sour and salty flavours by the judicious additions of palm sugar, lime juice and fish sauce. Reheat the soup and add the cream, Thai basil or fresh coriander just before serving. Ladle into warm soup bowls and serve with a spoonful of crème fraîche and some Thai basil or fresh coriander leaves. This is brack recipe is from Phyl O’Kelly who was a much-loved cookery writer in the Irish Examiner newspaper for many years. First soak fruit in hot tea for 1½-2 hours. Preheat the oven to 150°C/300°F/gas mark 3. Grease and line the loaf tins. Peel, core and slice the apples and stew them carefully with the sugar and a tiny drop of water, stirring frequently to make sure they are not sticking to the bottom of the saucepan. When cooked, add the butter and stir until melted. Set aside to get cold, then stir in the bread soda (bicarbonate of soda), eggs and sieved flour and mixed spice. Stir in the remaining ingredients. Divide the mixture evenly between the 2 prepared tins and bake on the centre shelf of the oven for 1¾–2 hours. Flavour popping corn with grated cheddar, mustard and cayenne pepper then shape into ‘brains’ and serve at Halloween as part of a spooky spread! Heat the oil in a large saucepan. Tip in the popcorn, cover and shake the pan to coat the kernels. Cook over a medium heat until the corn stops popping, about 5 minutes, shaking the pan every so often. Take off heat and sprinkle with a little salt. Put the Cheddar cheese, mustard and pepper in a small pan and heat gently until melted and bubbling. Whisk the egg white lightly and add to the cheese mixture. Drizzle over the popcorn and mix well until completely coated. Rub hands with a little oil and quickly grab handfuls of popcorn and squeeze into brain shapes. Place on a tray lined with parchment, then leave to cool. Cover with cling film until ready to eat or store in a jar – you can make a few hours before serving. Preheat the oven at 190°C/375°F/Gas Mark 5. Sieve the flour, cocoa powder, baking powder in a bowl. Stir in the sugar. Rub in the butter until it looks like breadcrumbs. Combine the beaten egg, vanilla extract and milk and add to the dry mixture. Combine with a fork to give a wet consistency. Fold in the chocolate chips gently. Spoon into the cases. Bake for 20-25 minutes until well-risen and golden. Cool on a wire rack. Cream the butter until smooth, sift the icing sugar and cocoa powder and add to the butter. Beat well. Add the milk and beat until smooth. Ice the cupcakes, decorate them and have fun – enjoy! To make the icing, add enough water to the icing sugar to make a spreadable icing. Mix the icing sugar with enough water and a few drops of chosen food colouring to make a spreadable consistency. Ice the top of the cupcakes with the white icing. Place the black or orange icing in a paper piping bag and draw circles on the white icing. Using a cocktail stick, drag from the centre outwards and inwards to create a spider web effect. In a large saucepan, melt the butter, caster and brown sugar, golden syrup and vanilla extract and gently together. Sift the flour and bread soda into a large bowl. Add the melted butter and sugar mixture to the flour. Mix together and knead for a few minutes until it comes together. Flatten the dough slightly into a thick round. Wrap in cling film and chill in a fridge for at least 30 minutes. Remove the dough from the fridge, dust the work surface with flour and roll out the dough to about 5mm (1/4 inch) thick. 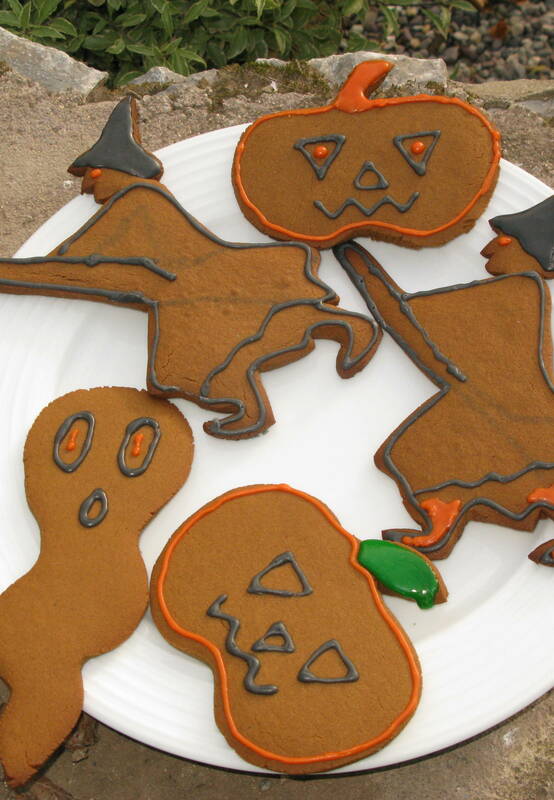 Using Halloween cookie cutters (or cut into tombstones), cut out shapes and transfer to a baking trays and cook in the preheated oven for 8-10 minutes depending on the cookie size. Allow the shapes to firm up for a few minutes on the tray before removing to a wire rack to cool. Melt both chocolates in separate bowls over a saucepan of simmering water. Dip the tombstones in the dark chocolate, place on bakewell paper and leave to harden. When set, use a paper piping bag and place the melted white chocolate in it and pipe ‘boo’; ‘RIP’ on the dark chocolate (tombstone). Lingonberries grow in the Scandinavian countries, right? Well guess what they also grow very happily here in Ireland in the Bog of Allen in Co Offaly side by side with blueberries. I got some precious punnets of them recently and made a tart lingonberry sauce and some preserves and desserts. So this has been a terrifically exciting week experimenting with a new ingredient or at least new to me in its fresh form. I hadn’t’ realised quite how versatile they would be. 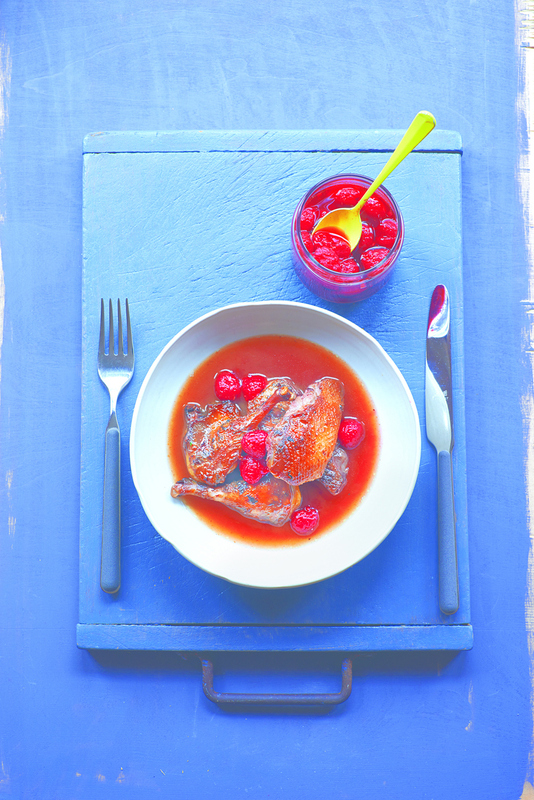 A pot of lingonberry jam or sauce adds zing to lots of both sweet and savoury dishes. Swedish pancakes with lingonberry sauce and some sour cream was a big hit and of course their fruity bittersweet flavour complimented and cut deliciously through the rich gamey flavour of a haunch of venison. The Swedes also love lingonberries with meatballs and fried herring, austrians pair it with schnitzel. Lingonberries can be enjoyed with a variety of breads, muffins, scones, smoothies, salads and a myriad of desserts. They naturally compliment duck, goose, pork and game. So what do Lingonberries look like? They are small bright red berries, grow on low semi evergreen bushes the same type of acid soil that blueberries love. They are grown commercially in Sweden as well as in the wild in Swedish forests and throughout the Nordic region and are ripe from August to late October. They also have the bonus of being super nutritious and have both antioxidant and antibiotic properties. In fact, surprise surprise they are being hailed as yet another ‘superfood’. Recent research at the Lund University in Sweden concluded that mice fed on a high fat diet including 20% of the tart red lingonberries gained no more weight that those on a low fat diet and had blood sugar and insulin readings similar to the low fat mice. Lingonberries naturally contain high level of pectin so jams and jellies set easily and are literally made in minutes. Lingonberries have many names, cowberries, foxberries, whimberries, wolfberries, partridge berries, red whortle berries, dry mountain cranberries, cranberries….they are of course related to cranberries and blueberries. Jars of lingonberry jam are available from IKEA and some other speciality stores but none are as fresh and vibrant as what you make yourself in small batches in a matter of minutes. The first ever Garden Trails of Ireland national conference is at Inis Beg near Baltimore on 24th October 2015 from 10am-4pm. Speakers include Gerry Daly and Jane Powers. See www.westcorkgardentrail.com for the details. Deelish Garden Centre close to Skibbereen are expecting lingonberry plants in very soon, check out their range of rare edible plants – aronia (the chokeberry), quince and apricot trees, myrtus luma, edible berberis, elaegnus…… www.deelish.ie. Save your own fennel pollen, the delicious anise flavoured fairy dust so beloved of Michelin starred chefs. The flowers are now ready. Tie them in bundles and hang upside down inside a brown paper bag. Then store the pollen in a dark glass jar. Sprinkle over pan grilled fish and enjoy. Wild hazelnuts are now ripe, so head for the hills and collect the tiny sweet nuts, don’t bother with the nuts that stubbornly refuse to budge from their husks, you’ll find that they are ‘blind’ (empty). Hazelnuts are high in monosaturated fat, Vitamin E and minerals copper and magnesium…. Blueberries or Autumn Raspberries are also delicious here. Let the batter stand in a cold place for an hour or so – longer will do no harm. Just before you cook the crêpes stir in 3-4 dessertspoons (6-8 American tablespoons) melted butter. This will make all the difference to the flavour and texture of the crêpes and will make it possible to cook them without greasing the pan each time. Heat the pan to very hot; pour in enough batter to cover the base of the pan lightly. A small ladle can be useful for this, loosen the crepe around the edge, flip over with a spatula or thin egg slice, cook for a second or two on the other side, and slide off the pan onto a plate. The crepes can be stacked on top of each other and peeled apart later. Fill with lingonberry preserve and sour cream. Enjoy. Pick over the lingonberries in a saucepan or strainer. Run them under the cold water tap to rinse. Put into a stainless steel saucepan with the water and sugar. Stir over a medium heat, bring to the boil and simmer for 10-12 minutes or until the berries have burst and are soft. Pour into small sterilized jars, cover and refrigerate and enjoy throughout the Autumn and Winter with game, goat cheese, crêpes, potato pancakes…. Bring to the boil and simmer for 10-12 minutes until they burst and soften. Crush with a potato masher. Pour into a jelly bag and allow to drip into a nonreactive stainless steel or delph bowl. Return the juice to the saucepan, add sugar, stir to dissolve. Bring back to the boil for 2-3 minutes. Pour into sterilized bottles, cool and refrigerate until needed. Pour all the ingredients into a cocktail shaker with ice. Shake until well chilled, strain and pour into martini glasses. Mix all the liquid together. Taste and tweak if necessary. Serve over ice and add a few fresh mint leaves. A simple, delicious sauce which is unbelievably quick to make. It goes well with lamb, guinea fowl, ham and pâté de campagne. Fresh or frozen redcurrants may also be used. Remove the strings from the lingonberries if necessary. Put the sugar and water into a saucepan, stir over a medium heat until the sugar dissolves, then bring to the boil. Toss in the lingonberries, bring back to the boil, cook uncovered for 4 or 5 minutes or until the berries burst and soften. Serve hot or cold. Lingonberries freeze brilliantly just pop them into the freezer in the punnet and then transfer to a plastic bag. 75 g (3oz/1/2 cup) granulated sugar. Abergavenny is a sleepy little town in South Wales with four or five charity shops, a few fried chicken joints, several Indian and Chinese restaurants, the usual estate agents and fashion shops and of course a Tesco and Aldi…. The Speakers Dinner was in the St Michael’s Centre, a rather lacklustre venue but Jane Baxter of wild Artichoke Catering Company cooked a magical multi course dinner. Look out for the column she shares with Henry Dimbleby in the Guardian every Friday. 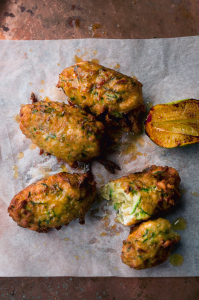 A plate of Welsh charcuterie, arancini with truffles, crab with artichokes, tandoori lamb with, melt in the mouth meringues with a blob of cream and candied rhubarb, homemade fig rolls……. Well, here’s the surprise, I was up early on Saturday morning, the sun shone and by 9.30 the whole of Abergavenny was totally transformed and throbbing with energy and excitement. Hundreds of food stalls lined the streets and lanes; the beautiful market building was adorned with coloured ribbons and huge fantastical goats, sheep and pigs made by local women dangled from the high ceiling. I did my cookery dem in the Priory and then dashed from one place to another signing books, doing a ‘rant’, trying to taste as many delicious things and attend as many events as possible. I managed to get to Claire Ptak’s cookery dem and learned the secret of the best selling Blondies at Violet cakes in Hackney. I also managed to catch Yotam Ottolenghi and Ramael Scully’s jam packed Masterclass where they shared secrets from their new book of recipes from Nopi restaurant in Warwick Street In London. Over the years, Abergavenny has also been a place of pilgrimage for foodies for another reason, Franco Taurasi’s food at the Walnut Tree just outside the town drew people from far and wide, I’d never been there and even though Franco has now retired, Shaun Hill is at the helm and cooking refreshingly simple flavourful food. I was longing to go but it was of course booked out so I naughtily just turned up and they sweetly gave me a table, I had a truly delicious dinner with hare for the main course which Shaun tells me are very plentiful in his area of Wales. On Sunday morning, I managed to meet the wasabi grower Tom Amery from Devon www.thewasabicompany.co.uk and taste some delicious Welsh cheeses, I also linked up with the Trealy Farm charcuterie family and Hodmedod’s who grow a range of heirloom peas and beans in Norfolk and the guys from Halen Mon who make those beautiful pure salt crystals in Angelsea. They’ve added excellent black pepper to their range now also. Coed Canalas was another find, an exceptionally good range of sticky, dark, bitter Seville orange marmalades, pure honeys, maple syrup and Sicilian olive oil. I also bought a bottle of Ponzu now being imported from Japan by the Wasabi company and a bottle of superb argan oil. I needed to leave at noon to catch a flight from Cardiff but I managed to get to see the Helmsley sisters doing their dem in the Masonic Hall, Well now, these girls are seriously impressive, apart from being gorgeous, they’ve taught themselves how to cook, have absolutely no time for that low fat nonsense, love butter, lard and liver, they’re crazy about vegetables and the cheaper more flavourful cuts of meat. They did magic with a spiralizer, a gadget to make spaghetti and all manner of frills and ribbons of courgettes, squash, carrots, peppers cucumbers…… I am totally anti gadget but I was so impressed that I shot off to the Cooks Gallery kitchen shop to buy one and schlepped it all the way home. Don’t miss the Burren Food Fayre running from 24th-25th October. Lots of walks, talks, cookery demonstrations, food workshops, meet the growers, sample their produce… and lots lots more. 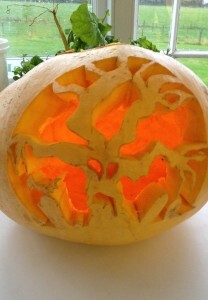 http://www.burren.ie/events/burren-food-fayre/ details will go online soon. On Saturday 17th October The Organic Centre in Leitrim is teaching a one day course Growing in Polytunnels – An Introduction. Mix together the fennel, parsley and garlic. Heat the olive oil in a large pan until hot and brown half of the lamb. Remove the lamb from the pan, turn down the heat and the add fennel, parsley and garlic. Cook gently without colouring. Add the remaining lamb and brown in the fennel paste. Return the rest of the lamb to the pan with juices and salt well. Add a little of the milk using it to scrape any residue from around the pan. Add the rest of the milk and cream and bring to a very gentle simmer. Cover with a round of kitchen paper and leave just simmering for 1- 1½ hours until the meat is tender. Remove the meat from the pan with a slotted spoon and put to one side covered. Return the lamb to the pan with the smooth sauce , season and sprinkle with chopped fennel/dill. then fold in the manouri cheese gently so it doesn’t break up much. until golden and crisp on both sides. Transfer to a kitchen paper-lined plate and keep somewhere warm while you continue with the remaining two batches. toasted nuts. Just keep them separate and put the dish together just before serving. This developed from a dish which Sarit Packer developed with Scully for the breakfast menu when NOPI first opened, when the wasabi mascarpone was served with smoked salmon and scrambled eggs. Yotam brought in the tomatoes and the dish was reborn and shifted on to the summer lunch menu. It works well as part of a spread of salads or alongside some simply cooked fish or meat. Place the mascarpone, wasabi, chives, tarragon and spring onion in a bowl with 1/2 teaspoon of salt and a good grind of black pepper. Mix well and keep in the fridge until ready to use. Place the shallots in a separate bowl with the sweet vinegar, oil and 1/2 teaspoon of salt. Mix well and keep in the fridge until ready to use. To serve, divide the mascarpone between the plates and spread it out to form a thin layer. Place the tomatoes on top, followed by the pickled shallots. Sprinkle with the pine nuts, then scatter over the basil leaves, tearing the larger ones as you go. Season with 1/3 teaspoon of salt and a good grind of black pepper, and serve. Blondies have the texture and richness of brownies, but without the chocolate – hence the name. I have snuck in some chunks of milk chocolate here, but the body of the blondie tastes like treacle. Preheat the oven to 160°C/325°F/gas 3. Butter and line a 23 cm (9 inch) square cake tin with parchment paper so that it comes up the sides of the tin. Gently melt the butter in a heatproof bowl over a pan of barely simmering water. Set aside and cool slightly. In another bowl, sift together the flour and baking powder, then stir in the salt and set aside. In a separate bowl, whisk together the eggs, sugar and vanilla until frothy, then whisk in the melted butter. Fold in the dry ingredients until just mixed, then fold in the chocolate pieces. 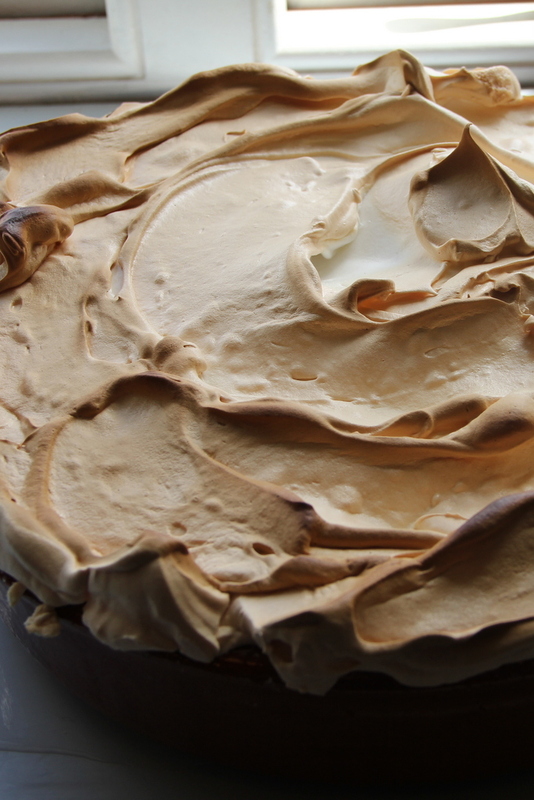 Pour into your prepared baking tin. Bake in the middle of the oven for about 35 minutes. A skewer inserted should come out slightly gooey. Leave to cool completely in the baking tin, then cut into smallish squares. These are rich! All in the Cooking is back by popular demand….. I’ve just received a copy from O’ Brien Press who had the foresight to reprint Part 1 which was originally published in 1946. It was written and compiled by Josephine Marnell, Nora Breathnach, Anne Martin and Mor Murnaghan for the students of Coláiste Mhuire Cookery School in Cathal Brugha Street in Dublin and it remained in use in schools and colleges throughout Ireland until the 1970’s. In the press release to coincide with the launch, The O Brien Press, tell us that, All in the Cooking has attained, near legendary status in recent years as people search the internet for second hand copies but to little or no avail. It seems that owners of this beloved cookbook are loathe to part with it! And, I can believe it, because almost 20 years ago I removed my copies of All in the Cooking Part 1 and 2 from the Ballymaloe Cookery School library of over 3,000 cookbooks to an inner sanctum of books that we regularly had to ‘trace’ when borrowed. Mine are soft backs but the new edition is hardback, a reprint of the third edition of Book 1 complete with margarine in virtually every recipes – I respectfully suggest that you substitute good Irish butter but it’s your call! There are many gems and timeless classics in this book as well as some ‘interesting’ recipes from bygone days, so it’s like a blast from the past which will evoke nostalgic memories for literally millions of Irish school and college students of domestic science. There was much to make me smile. I remember how posh I thought potato roses were – a little mashed potato nest with peas in the centre. Cool trendy young chefs, acolytes of Fergus Henderson will be delighted to find an authentic recipe for Sheep’s Head broth which starts by instructing us to “split the skull, lift the brains out – wash the head, pay particular attention to the tongue and parts around it, remove the eyes”……that should separate the men from the boys and send them shuffling back to their well-thumbed catering catalogue where everything is neatly portioned and vacpacked. Should they preserve, believe me the result will be delicious…..
Derryvilla Blueberry Farm (www.derryvillablueberries.com) in Co Offaly has a bumper crop again this year. The enterprise is owned by John Seager and managed by Nuala O’Donoghue. No pesticides are used and most of their delicious, naturally grown berries and the products made from them – a tangy blueberry tonic and preserves – are supplied to selected retailers or sold at Farmleigh Food Market (www.farmleigh.ie.) But there is also a farm shop on site, and the popular “pick your own” option makes a great family day out during the summer months. Date for your diary:- Gluten Free Food – for those who are coeliac, or cook for someone who has a gluten intolerance, find it challenging to produce really delicious, balanced meals. Not to worry help is at hand, there is an intensive half day Gluten Free Cooking course on Saturday October 3rd at the Ballymaloe Cookery School. You’ll learn a whole range of tasty and easy-to-prepare dishes including gluten-free sweet and savoury pastry, crackling salmon with coriander pesto and gluten free raspberry muffins. Suddenly, cooking for coeliacs will become a real pleasure rather than a chore. Food on the Edge in Galway promises to be the most exciting food gig this year. It’s a two day symposium for chefs and food enthusiasts. There is a thrilling line up of guests who will talk, debate The theme is ‘Future of Food’, http://www.foodontheedge.ie/. Looks like an unmissable event for anyone who wants to keep on top of the Irish and international food scene. Celebrate the Honey Bee with Slow Food Northern Ireland on Saturday 26th September. Hendrik Dennemeyer, urban beekeeper will talk about keeping bees and how to get started at ‘The Narrows’, Portaferry, Northern Ireland. Contact Celia Spouncer on 0044 7725646333 or email celia@spouncer.com or www.slowfoodireland.com for further information. Recipes taken from All in the Cooking. It is jointly published by the O’Brien Press and Edco, the Educational Company of Ireland. To make the short pastry. Put in butter and cut it into small lumps with a knife, mixing lumps and flour in the process. Rub the fat into the flour with the tips of the fingers until the mixture looks like fine breadcrumbs. Lift the hands high so as to introduce as much cold air as possible into the flour. Care must be taken not to let the fat melt or the pastry will be oily and heavy. Add the water gradually and mix to a stiff paste with a knife. When paste is wet enough it should stick together, but not to the bowl or hands. Turn out on a lightly-floured board and knead lightly with the tips of the fingers. Press out a little with the rolling-pin, and then, with light, even strokes roll into the required shape. NOTE.-If the pastry sticks to the rolling-pin or board, scrape off the part that has stuck with the back of a knife, wipe with a cloth, flour the rolling-pin and board and continue rolling. Avoid the use of too much flour when rolling pastry. Have the butter or margarine at room temperature. Put it with the sugar into a bowl and beat until white and creamy using a wooden spoon or electric mixer. Beat the egg and add gradually to the creamed butter and sugar. Beat well. Fold in the flour and grated lemon rind using a metal spoon, adding a little water if necessary to make to a dropping consistency. Add the baking powder mixed with the last addition of flour. Baking powder is not required when using an electric mixer. Next line the tart plate. Grease a tart plate about 8 ins. in diameter. Roll the pastry into a round shape a little larger than the plate. Cut a strip ½ inch wide off the pastry and put round the edge of the plate with the cut edge outwards. Damp this strip of pastry and line the plate with the remainder of the pastry. Trim the edges, flake and decorate them. Prick pastry with a fork. 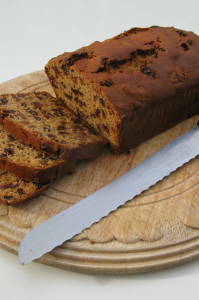 Spread the centre of the plate with 2 tablespoons of jam, having it about ¼ inch thick. Spread the cake mixture on top of the jam. Roll out any trimmings of pastry, cut into strips about ½ inches wide. Put these trellis-wise across pudding. Bake in a fairly moderate oven for about 30 minutes until brown and thoroughly cooked. Dredge with sugar and serve on a d’oyley on a plate. Put water, lemon rind and jam into a saucepan. Infuse for 15 minutes and then bring slowly to the boil, and boil for 5 minutes. Strain and pour on to cornflour, which has been blended with a little water, stirring to prevent lumping. Put back on the heat and bring to the boil, still stirring, and boil gently for 5 minutes. Add lemon juice and sugar. NOTE.-If red jam is used, a few drops of carmine may be required to improve the colour. Clean the fruit and put to steep in the cold tea with the brown sugar. Leave overnight. Add the flour, beaten egg, mixed spice and baking powder. Mix well together. Put into a greased lined 8-inch tin. Place a piece of tinfoil on top. Bake in a moderate oven for about 2 hours. Put jam into a warm bowl, pour the boiling water over. Leave at the side of the stove to infuse, or stand bowl with tea in a saucepan of boiling water for 10 minutes. Strain through fine muslin, and serve in a warm glass. Stand glass on a small plate. Add sugar, if liked. Add barley, cook for ½ hour. Add vegetables and cook for further hour. Season and add parsley. Put butter, milk and lemon rind into a saucepan and heat until the butter is melted. Add and stir until dissolved. Cool slightly. Beat the yolk of egg and pour the heated milk on to it, taking care not to let it curdle. Put the breadcrumbs into a bowl, and pour the egg and milk over them. Pour into a well-greased pie-dish. Place on a fiat tin. Bake in a very moderate oven for about 40 minutes or until set. Heat the jam slightly and spread on top of the pudding. Beat the white of egg stiffly and fold in the castor sugar. Pile roughly on top of the jam. Return to a very cool oven until the meringue is set and well dried out, about ½ hour. Allow to become lightly browned. NOTE.-Instead of making breadcrumbs, cut the bread into pieces, soak in the egg and milk mixture until soft. Beat well or put in the liquidiser at slow speed for a few seconds. Make stock by simmering carcase and bones of chicken for 1 ½ hours in 1 quart of water. Strain, cool and remove fat. Wonderful, wonderful Copenhagen didn’t used to be associated with wonderful food, but for the past decade, thanks to René Redzepi and his team at Noma, food tourists from all over the world are beating a path to the Nordic countries to check out the food revolution that this iconic restaurant has sparked. Nowadays many of the chefs and cooks who originally worked at Noma has opened their own restaurants to well-deserved critical acclaim. This weekend I went over to join the fifth anniversary celebrations of one of the best loved ‘spark-offs’ Relae. Christian Puglisi worked with René at Noma for many years. Like his friend, he is self-taught and an immensely creative free spirit – no chefs toques or pompous ego here. He opened Relae in Jaegersborggade , a scary drug crazed street in 2010, where the property was affordable for a reason! It took real guts and courage. Soon punters, lured by stories of Christian’s food were making their way to a part of town they would not normally frequent. It was the beginning of another revolution, now the street has a tempting selection of small shops, an artisan bakery, a fudge and toffee shop, a cookery school, jewellers and Gröd, a café that just sells porridge in all its forms and always has a queue outside. http://groed.com/. Relae now has a Michelin star for its simple, organic, sustainable, no fuss food. 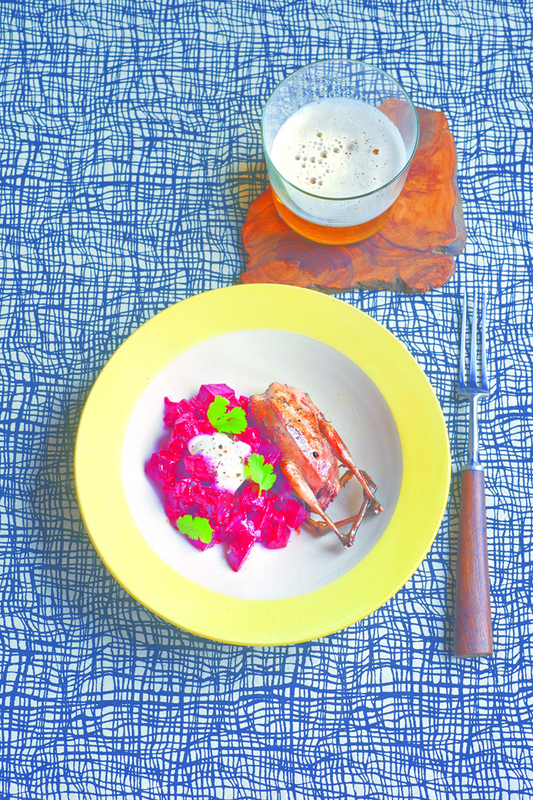 They serve only natural wines and a superb fresh juice menu to compliment each course. Manfred’s, http://manfreds.dk/en/restaurant/menu/ the sister restaurant just across the road followed in the Autumn of 2011. More recently Christian has moved into the Nørrebro area, another area where few people ventured to open Baest http://baest.dk/en, serving a selection of house made charcuterie and sourdough pizza bases cooked to order in the wood burning oven. The bakery next door is called Mirabelle, selling Christian’s sourdough breads, the best homemade croissants and pain au chocolate in town. Summer had come to Copenhagen that weekend after a disappointing summer so the beautiful lean, young (and old) Danes were out in force on their bicycles. On Saturday I attended a spectacular tasting of natural wines of which more another week. On Sunday evening the celebration party in the Nørrebro Park got underway. Christian had invited an amazing line up of his friends from the “world of gastronomy” to cook his favourite street food from a circle of food trucks in the park. Rosio Sanchez and Renè Redzepi dished out fantastically good tacos, Magnus Nilsson of Faviken fame cooked up hotdogs with a choice of three delectable homemade sausages, Matt Orlando of AMASS cooked fried chicken to die for, Mehmet Guhrs from Mikla in Istanbul where I had a superb meal earlier in the year served braised lamb lavash from a little barbecue, Kobe Desmeraults of Inde Wulf made us shrimp croquettes and bakers extraordinaire Chad Robertson and Richard Harte from San Francisco spread butter and ciccioli on delicious Tartine bread while the band played wild and wonderful music. Can you imagine having a little card to wander from one food truck to another to be served street food by many of my food heroes and one was more delicious than the next, Christian’s beef tartare…. Rosa tacos. I had already sought out her little food stand, Hija de Sanchez down by the Torvehallerne on Saturday afternoon. Her tacos are insanely good and her avocado ice cream with condensed milk drizzle and dried raspberries are work jumping on a plane to Copenhagen for. 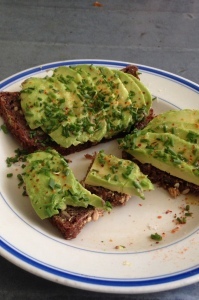 While you are there, go along to Atelier September on Gothersgade and order their avocado on rye, thinly sliced, sprinkled with finely chopped chives, espelette pepper, a whisper of lemon zest and a few flakes of sea salt. 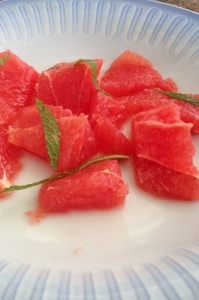 I also had iced matcha tea and pink grapefruit Tokyo style with a little shredded mint, a perfect refreshing little plate on a summer Sunday. But most refreshing of all was an hour long canal and harbour boat trip, a touristy pursuit that is so worth making time for and a perfect way to see this beautiful maritime city. The East Cork Business Alliance, based in Midleton, is in the final stages of publishing the East Cork Food Producers Guide. There are a few spaces available so if you are a small producer in the area and would like to be part of the initiative, contact Redmond on 087 779 9874. The guide will cost €2 and proceeds will be donated to East Cork Meals on Wheels. The native Irish oyster season has just opened, these delicious briny oysters are only in season when there is an R in the month. The flavour can be distinctly different from one bay to another, so it’s a particular treat to find a restaurant that offers a parallel tasting of say Dungarvan, Galway Bay and Sherkin Island oysters. Grab an Autumn break before Winter sets in – my recommendation this week comes from my sister who loved Pax House in Dingle, a bed and breakfast with 15 rooms. John O’ Farrell is a brilliant host, delicious breakfast, spectacular views and lots to do. Midleton Food and Drink Festival is on today. The main street will be choc a bloc with local food and drink producers, food tastings and demonstrations. Check out www.midletonfoodfestival.ie for the details. Spread the slices of rye bread with a little butter. Half and stone the avocado. Remove the skin, scoop out the avocado. ?? very thinly and place one on each slice of bread, sprinkle generously with finely chopped chives and a little espellette pepper. Grate a little lemon zest over each one and sprinkle a few flakes of sea salt on top. Serve immediately on a small white plate. Scrub the celeriac well, dry carefully. Brush with a little olive oil. Put in a deep ovenproof casserole or small roasting tin, sprinkle with coarse salt and bake in the preheated oven until tender, 3 – 3 1/2 hours. Cool, remove the celeriac and brush off the salt. Meanwhile stone and whizz the olives with extra virgin olive oil to a very smooth paste. To serve heat the olive paste and whisk in some butter. Peel and slice the celeriac thickly, cut into uneven chunks. Spoon a couple of tablespoons of olive paste onto a small plate. Arrange 3 or 4 pieces of celeriac on top . Drizzle with a couple of blobs of olive paste. Top with a few small basil leaves and a few flakes of sea salt. Serve. First make the avocado ice cream. Scoop the flesh from the ripe avocado into a blender; add the lemon juice, milk and sugar, whiz until smooth. Transfer to a bowl and stir in the cream – mix well to combine. Taste and add a little lemon juice if needed. Pour into popsicles moulds. Cover and insert the lollipop sticks. Freeze. Put the condensed milk in a saucepan, cook to a golden caramel colour. Cool. To serve, take a chilled plate, lay a square of waxed paper on top. Slide the ice pops out of the mould, lay on the plate. 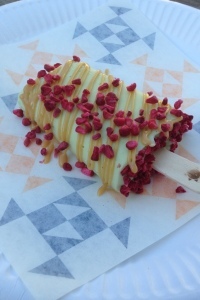 Drizzle with condensed milk toffee and sprinkle with dried raspberries. Serve. Cut the top and bottom of the ripe pink grapefruit. Cut off the skin and pith, then remove the segments with a sharp knife. Cut each segment into uneven angular shapes. Arrange on a white plate. Sprinkle with a little shredded mint and a tiny bit of sugar if a little tart. Next day pinch off ½ oz pieces, roll into a long strip and twist two pieces to make a garland. Pinch the ends together. Allow to rise on floured cloths. Meanwhile heat oil in a deep fry. Cook one at a time until puffed and golden. Drain on kitchen paper and toss in coarse sugar – don’t eat too many, difficult because they are irresistible. I’m absolutely thrilled to read about big plans to give the humble spud a make-over, a one million pound boost to be precise. This is big – a collaboration between Bord Bia, Department of Agriculture, Ireland’s potato industry, The British Potato Council and the EU. Everyone concerned has become increasingly dismayed by the 25% drop in potato consumption in the past decade. Sales to the under 45’s account for an even more dramatic drop of 33%. Even though the potato is inextricably linked with Irish food culture our national love affair with the spud has been waning for quite some time. Many young people have ditched the ‘unsexy’ potato in favour of ‘cooler’ carbs like rice and pasta but prepare to be dazzled – the humble spud is about to get a full-on makeover. The campaign sprang into action on October 2nd – National Potato Day with a ‘cheeky’ potato character and a saucy line ‘Potatoes – more than a bit on the side’. The quality of much of the Irish potato crop dipped dramatically in the 1980s as the Irish potato growers boosted crops with nitrogen in a frantic attempt to compete with the cheap imports from Cyprus where the climate lends itself to higher yielding varieties. The result was a larger, watery, potato with poor keeping quality. Spud lovers felt cheated and bewildered. Was it any wonder then that many hitherto devotees turned to the more reliable and for many more convenient fast food. The reality is that if we want beautiful Irish floury potatoes as we remember them, we need to pay more because the varieties are naturally low yielding. Potatoes were also damned as fattening, a complete and utter myth which badly needs to be dispelled. Instead we need to ramp up the message that potatoes are a fab ‘superfood’, the only one that can sustain life, remarkable for both its adaptability and its nutritional value. As well as providing starch, an essential component of the diet, potatoes are rich in vitamin C, high in potassium and an excellent source of fibre. In fact, potatoes alone supply every vital nutrient except calcium, vitamin A and D. The easily-grown plant has the ability to provide more nutritious food faster on less land than any other food crop, and in almost any environment. So easy to grow yourself – you don’t need a farm or a garden, we’ve had fun showing school kids how to plant potatoes in old hessian sacks and willow baskets and even galvanised dustbins. I’m not so keen on the rubber tyre tower, somehow I’m suspicious that some of the toxins could leach into the soil, hopefully I’m wrong. Digging a stalk of potatoes is pure magic for anyone from the Minister of Agriculture to my 12 year old grandson, all those beautiful earthy jewels where originally you planted just one potato. And from the cook’s point of view, potatoes are phenomenally versatile. As we all know they can be boiled, steamed, roast, fried, grilled, and deep fried. They take on a myriad of flavours and herbs, spices, chilli, but and it’s a big but you really have to source carefully. As ever, I seek out traditional varieties that are suited to Irish growing conditions usually lower yielding – varieties like Homeguard, British Queens and Sharpe’s Express in Summer and Golden Wonders, Kerrs Pinks and in Winter we also love the waxy Pink Fir apple. Michael McKillop of Glens of Antrim potatoes tells me that he will have new season Lumpers in the shops within the next couple of weeks. http://www.goapotatoes.co.uk/news/. We choose blight resistant varieties because as organic farmers we don’t wish to spray – we have had considerable success with early crops of Colleen and Orla. Santé, Setanta, Rudolph and Cosmos have given delicious main crop results. Check out the cool Food Truck parked outside the Ballymaloe Cookery School every Sunday from 11am-6pm. Julia and Igor serve up simple and delicious Eastern European food – Shashlik, Chinahi, & Granny Pancakes. You can choose from small bites or main plates, or just sit and enjoy a coffee. Combine it with a visit to our gardens and Celtic Maze – a perfect way to spend a Sunday! 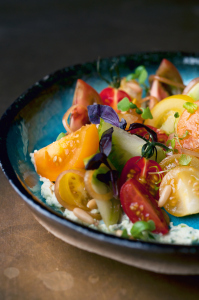 Jordan Bourke is another young Irish chef who’s really making waves in the UK. 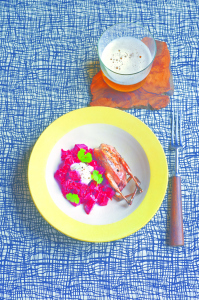 His new cookbook Our Korean Kitchen which he co-wrote with his wife Rejina Pyo is creating quite a stir. He will teach a Guest Chef course at the Ballymaloe Cookery School on Saturday 10th October. This is Jordan’s third book. The Guilt Free Gourmet and the Natural Food Kitchen were also bestsellers. Jordan is an experienced Korean chef having learned from the masters in Korean restaurants and home kitchens. Korean food is really having its moment and we’re all totally hooked. In this course Jordan will share some of his other favourite recipes a delicious Moroccan harira soup; crab cakes with saffron aioli as well as Korean bibimap; and a gorgeous Almond, Coconut & Date cake with Rosewater and Cardamom and much more……see www.cookingisfun.ie for the details. Aarudhra Giri from Tamil Nadu in India made this delicious pea and spicy potato cakes for us – they’re now a firm favourite. Form small balls with the dough, roll it in some flour and line them in a tray. Keep this in the fridge until you are ready to serve. Just before serving, heat olive oil/ sunflower oil in a frying pan and shallow fry them until golden. Heat 2 tablespoons of olive oil in a sauté pan. Add the chopped garlic and chilli and cook for 1-2 minutes. Add the chopped tinned tomatoes, tomato purée and paprika. Season with salt, freshly ground pepper and sugar. Simmer for 5-8 minutes or until slightly reduced. Meanwhile, heat 1 inch (2 1/2cm) olive oil in a frying pan. Dice the potatoes into 1 inch (2 1/2 cm) pieces. Dry on kitchen paper. Cook the potatoes in the hot oil until light golden brown in colour and tender all the way through. While the potatoes are cooking, liquidize the sauce and add the sherry vinegar. Return to the pan. When the potatoes are cooked, remove from the oil and drain on kitchen paper. Season lightly with some sea salt. Serve the potatoes on a plate, drizzle with the sauce and a good dollop of aioli. We ate this simple potato salad in the courtyard restaurant of Hanul Cetatii, Saschiz in Transylvania. Peel and cut the freshly cooked potatoes into 1 inch pieces. Season with salt, freshly ground pepper and chopped dill. Toss. Serve on a platter, drizzle with smetana or crème fraîche and lots of dill sprigs over the top. This is an earthy, strongly-flavoured dish that is served as a first or main course. By tradition the potatoes are cut only half way through with a wide knife then snapped open by twisting the blade. This is meant to release more starch so as to make the sauce thicker and to allow the potatoes to absorb more flavour. Small pork ribs, shallow-fried or roasted in the oven are sometimes added to make it a more meaty dish. Sauté the onion in the oil over low heat in a wide frying pan, stirring often until it is really brown – almost caramelised – about 20 minutes. Add the chorizo and garlic and cook, stirring for about 2 minutes. Put in the potatoes and cook for 5 minutes, turning them over. It is usual to add pimentón, but I do not add any when there is enough pimentón from the chorizo. Add salt and pour in enough water to cover. Simmer over low heat for about 25 – 35 minutes until the potatoes are soft and the liquid is very much reduced, turning the potatoes over if necessary so that they are well cooked right through. You should be left with a sizzling sauce that coats the potatoes and chorizo slices. If there is too much liquid, increase the heat towards the end to reduce it. Chop 1/2 a green and 1/2 a red bell pepper and put them in when the onion is soft and continue to cook until lightly browned.